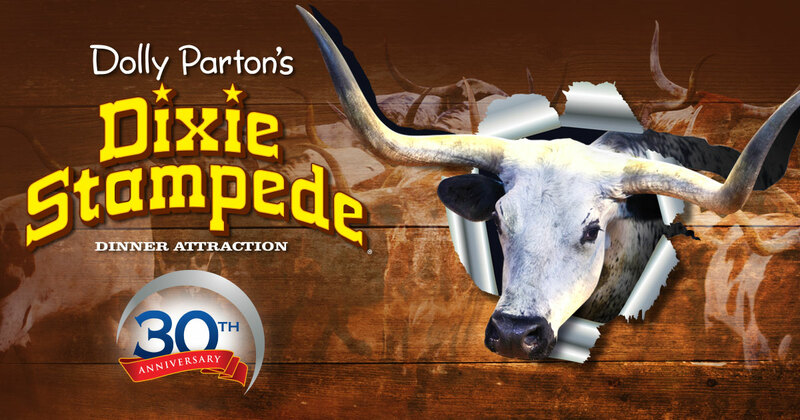 Dolly Parton’s Dixie Stampede is celebrating 30 years in Pigeon Forge, TN! This year marks the 30th anniversary season of Dolly Parton’s Dixie Stampede in Pigeon Forge, TN. For three decades the dinner attraction has thrilled audiences of all ages. At the heart of the show, there are 32 magnificent horses. World-class trick riders display daring feats of horsemanship including the famous Roman Rider. All this with a friendly competition between two sides creates a magical show that’s now a family tradition. The thundering longhorns have returned to commemorate the 30th anniversary season. These fan favorites make an appearance during the show as the pioneering settlers move west in search of new lands. For most guests, this is the closest they will come to these magnificent animals. Every year guests can count on the mouth-watering Four Course Family Feast when they visit Dixie Stampede. The signature feast consists of Dixie Stampede’s original creamy vegetable soup, homemade buttery biscuit, a whole rotisserie chicken, hickory-smoked barbequed pork loin, corn on the cob, herb-basted potato, Dixie Stampede’s own specialty dessert and unlimited beverages. 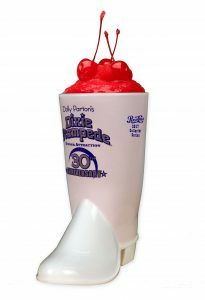 In addition, a special 30th anniversary Boot Mug is available in the Dixie Belle Saloon and online. Visit Dixie Stampede in Pigeon Forge, TN and be a part of the 30th anniversary season!